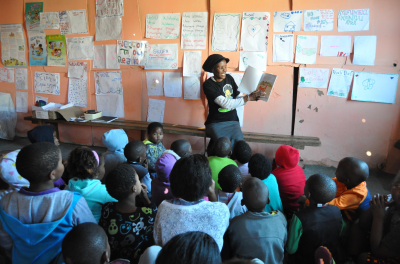 The Nal’ibali Reading for Enjoyment Campaign is a campaign with a difference. It starts from the premise that stories – oral and written – are as important for literacy development as the more technical aspects of learning to sound or spell out words, write neatly and do grammar. In this learning brief, campaign co-ordinator PRAESA, takes a critical look at how their highly successful bilingual reading-for-enjoyment supplement is being used. Read the article here.